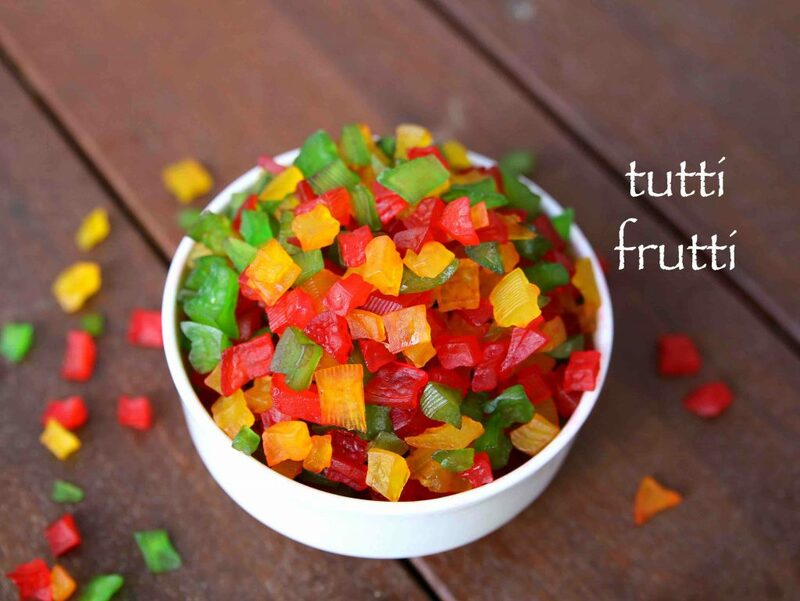 tutti frutti recipe | how to make tutti frutti | tutty fruity with detailed photo and video recipe. a sweet and colourful confectionery candied fruit mainly prepared from the raw papaya’s or from the choice of berries. 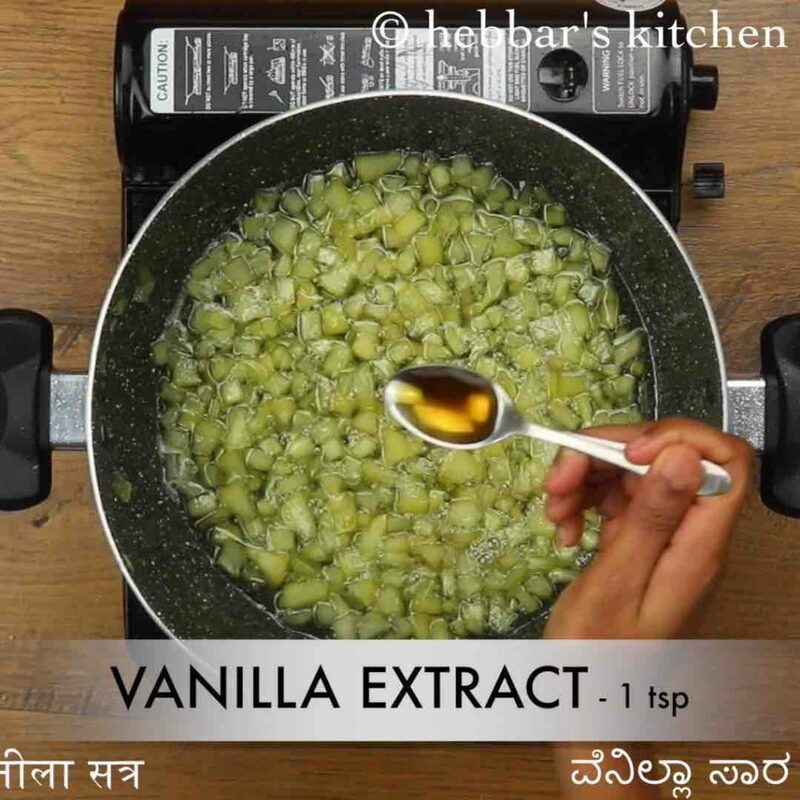 it is generally used for toppings in ice creams, desserts or cakes without any individual recipes from it. 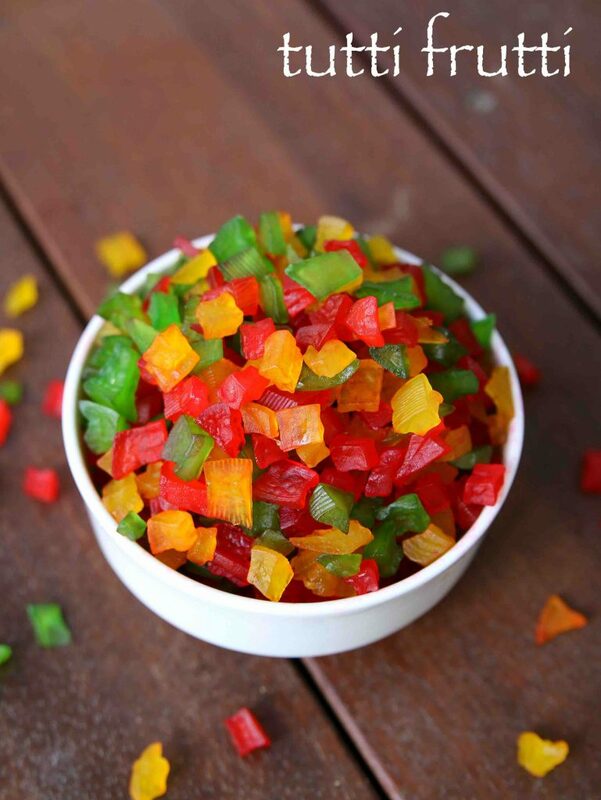 generally, these candied fruits come in bright red colour, green and yellow colour. 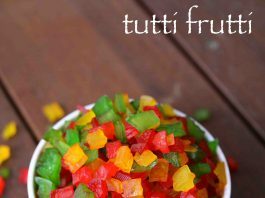 tutti frutti recipe | how to make tutti frutti | tutty fruity with step by step photo and video recipe. there are several names to this sweet confectionery across the globe but in india, it is also known as candied papaya. as matter of fact the only india, the tutti frutti is made from papaya and in other countries it is made from berries and chopped fruits. in india it is mainly used as toppings to custard, cakes or ice creams. i never use to prepare this homemade tutti frutti for myself and always buy it from the local indian grocery store. 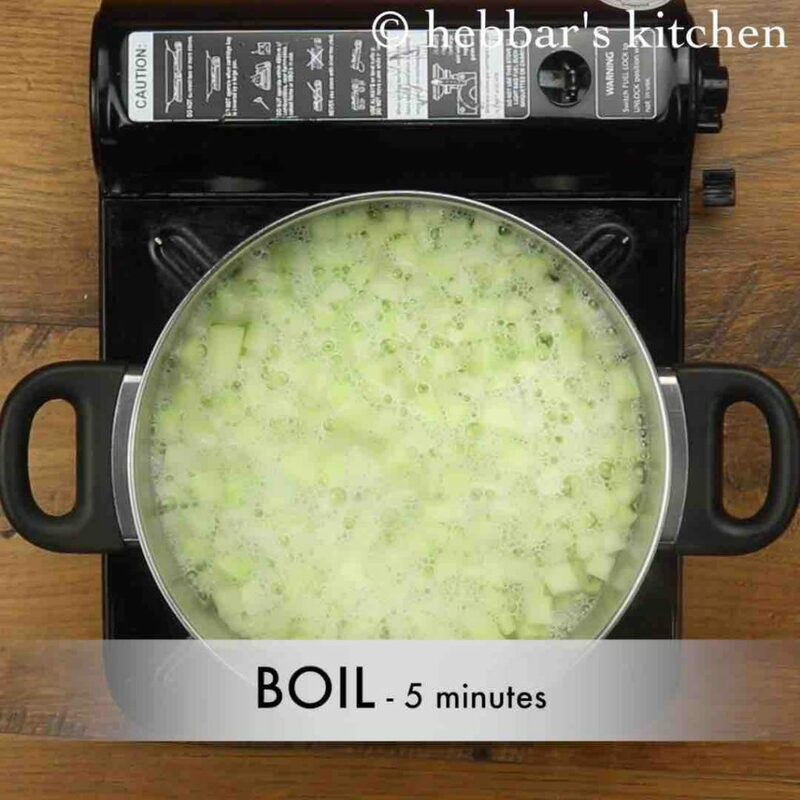 the main reason that i was unaware of the recipe until i saw it on wikihow page. 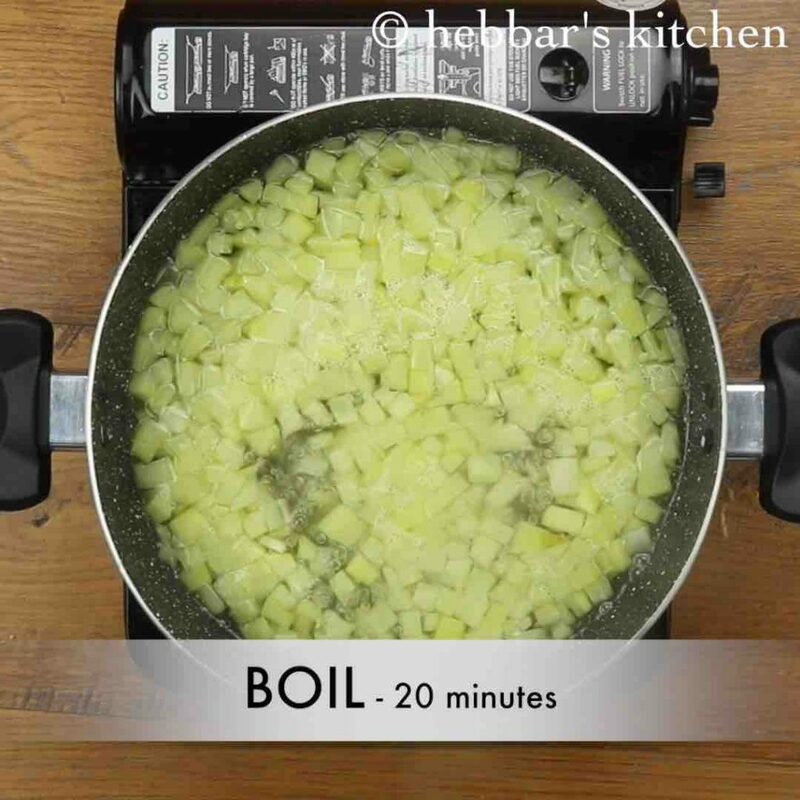 i was really surprised to learn how easy and simple recipe it was. i always thought it was prepared with chopped berries or fruits. but never had any clue about raw papaya. without any due, i had to try it and post it with a video. but it took me several attempts to master this recipe as my initial attempts failed to get the desired texture and colour. but i was really happy with my third attempt and hence sharing the same with video. 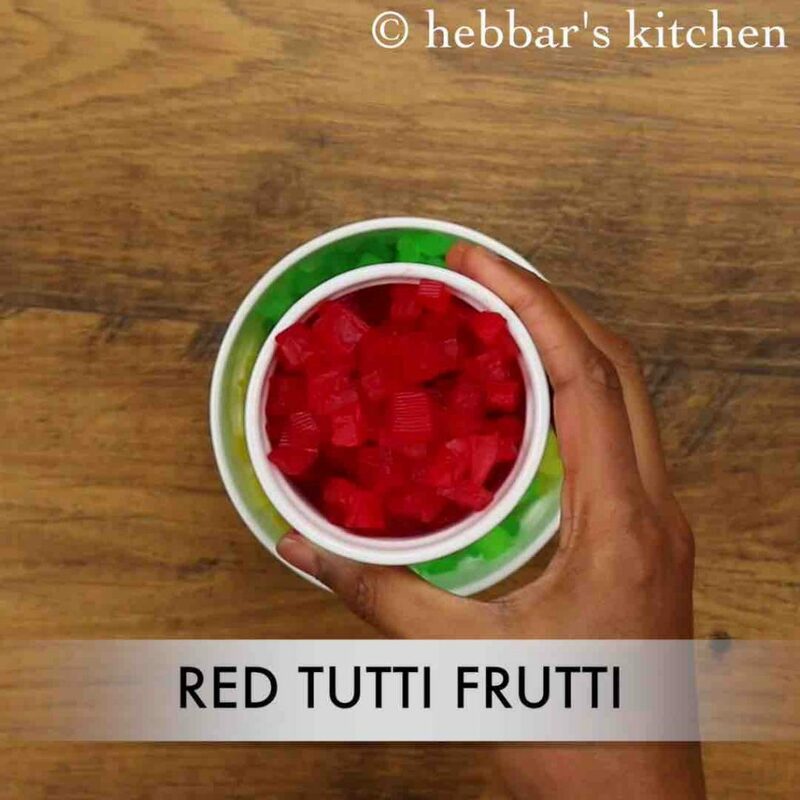 furthermore, some easy and important tips and suggestion while preparing the tutti frutti recipe. firstly, i have added artificial colours to get bright and attractive colour but does not have any influence on the taste. hence if you do not wish to use same, it can be safely ignored. alternatively, you can use natural colours like saffron, turmeric or even beetroot juice. secondly, size of tutty fruity is open-ended and hence you can cut the papaya into a desired shape and size. lastly, refrigerate and store these in an airtight container or sealed polythene bag for longer shelf life. 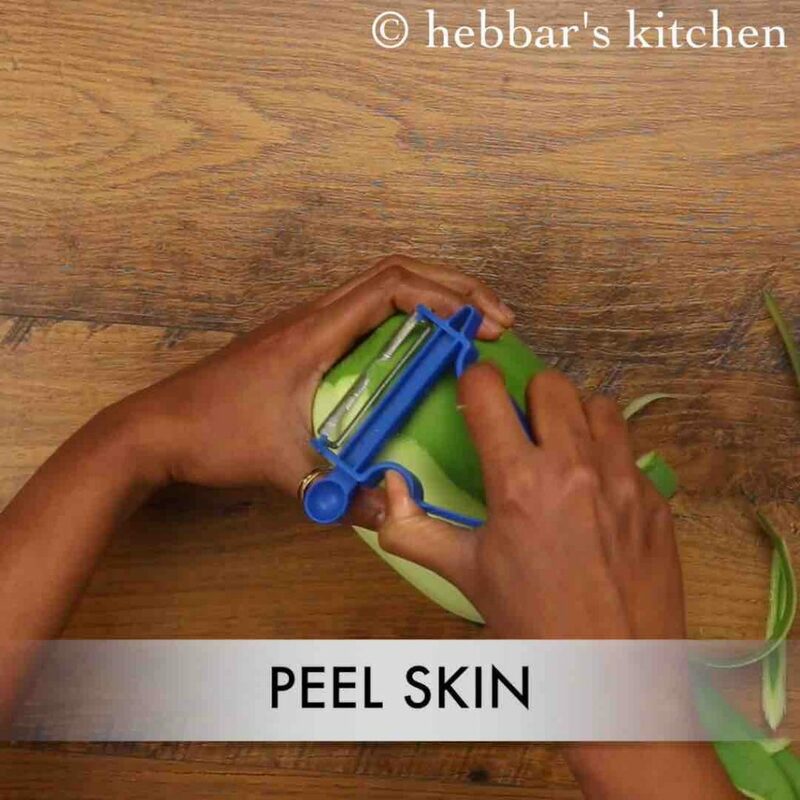 firstly, take raw papaya and peel the skin of it. 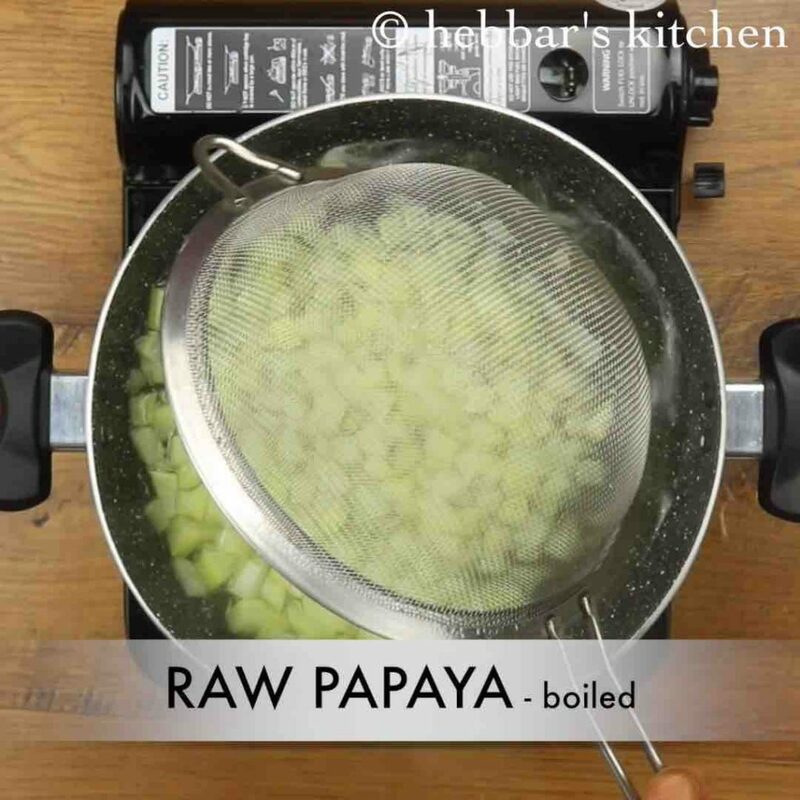 boil the papaya cubes in 4 cup water for 5 minutes. 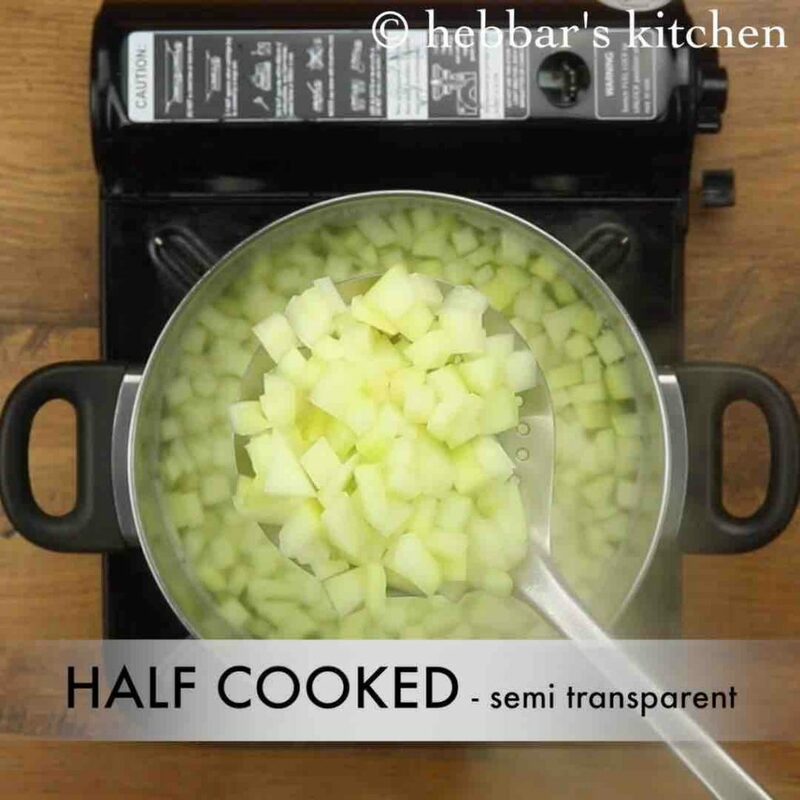 cook until the papaya cubes turn into semi-transparent. now in a large kadai take 2 cup sugar and 3 cup water. further, add semi cooked raw papaya cubes and stir. 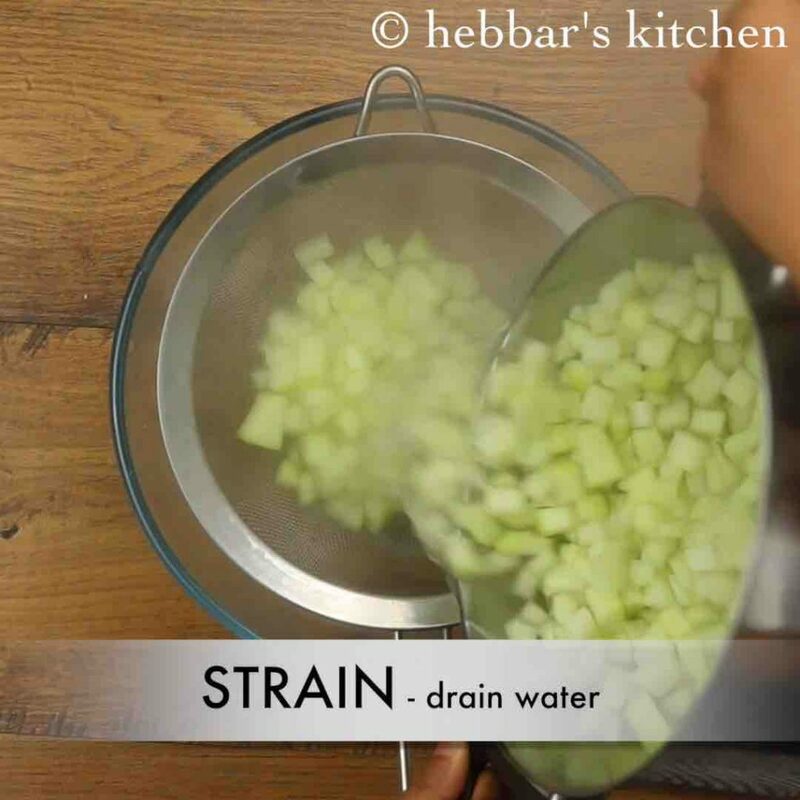 boil for 20 minutes stirring in between. 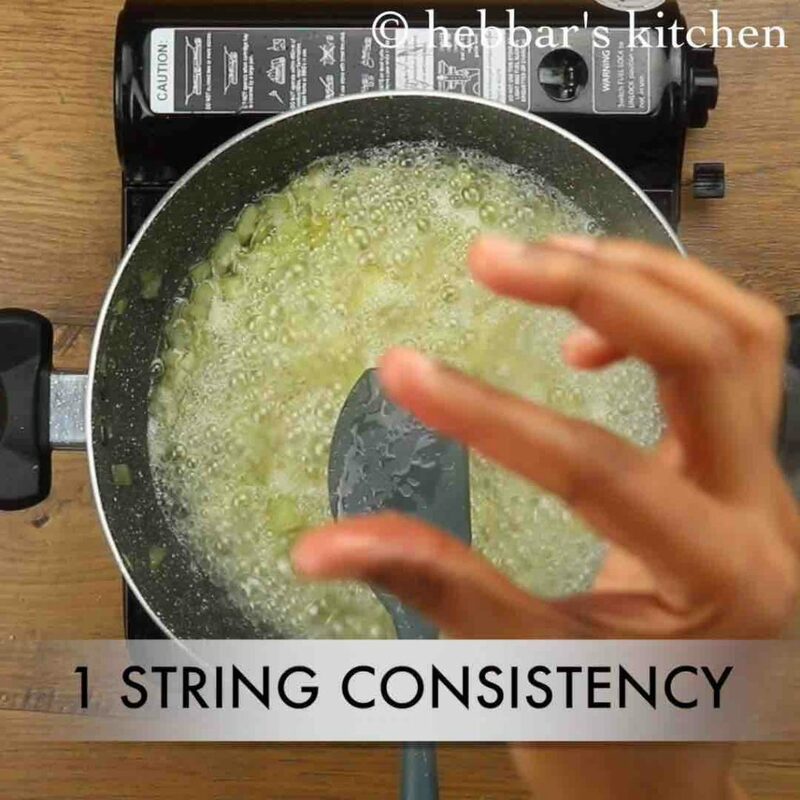 make sure to check for 1 string consistency of sugar syrup and papaya to turn soft yet retain its shape. turn off the flame and add 1 tsp vanilla extract. mix well. 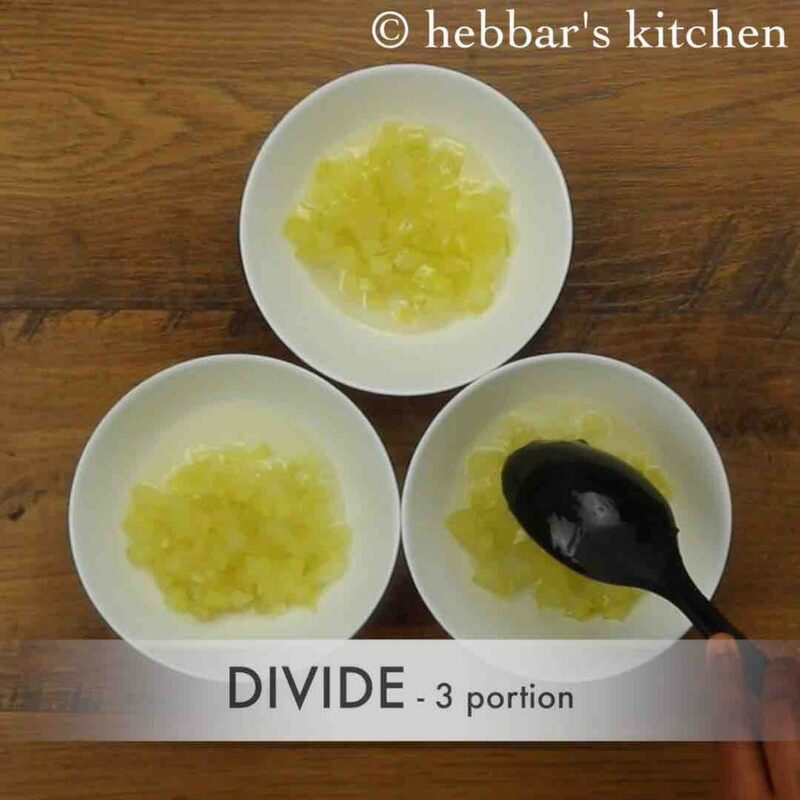 divide the cooked papaya cubes into 3 parts along with sugar syrup. 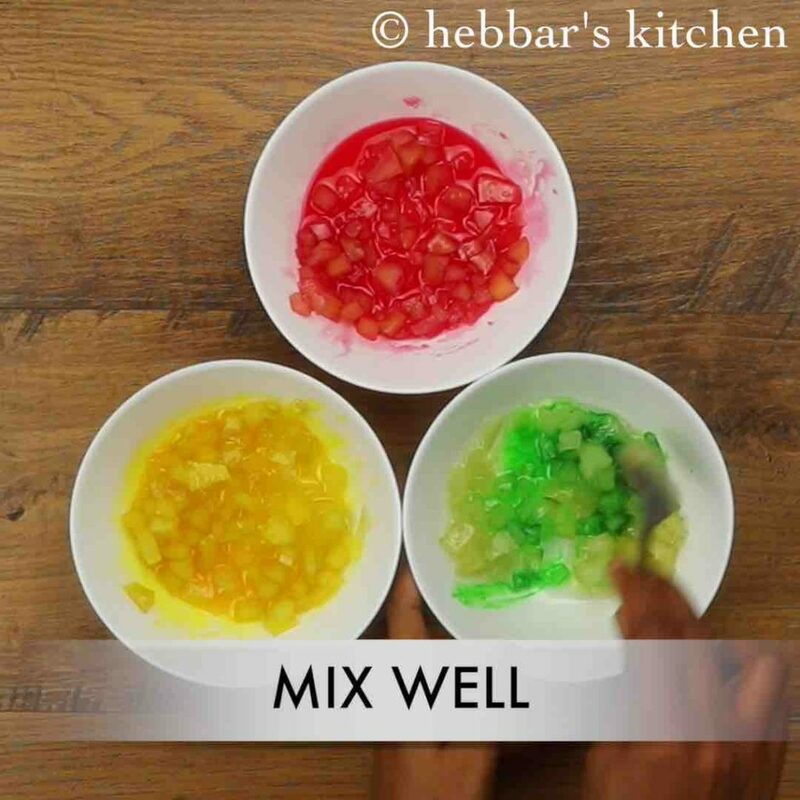 add 4 drops of red, yellow and green food colour to each part and mix well. 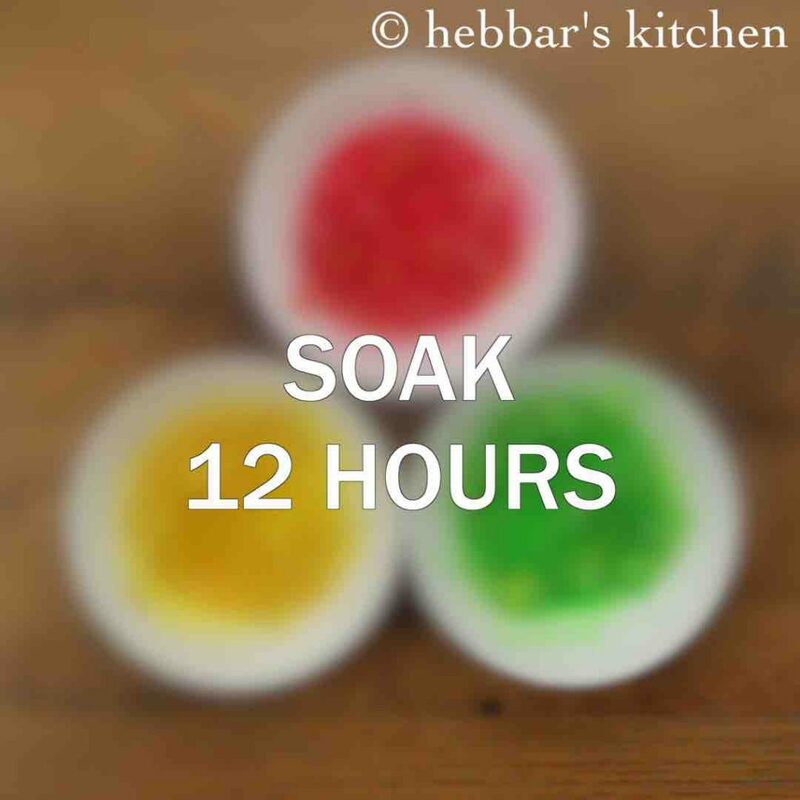 allow to soak for 12 hours or a day making sure papaya absorbs all the colour. 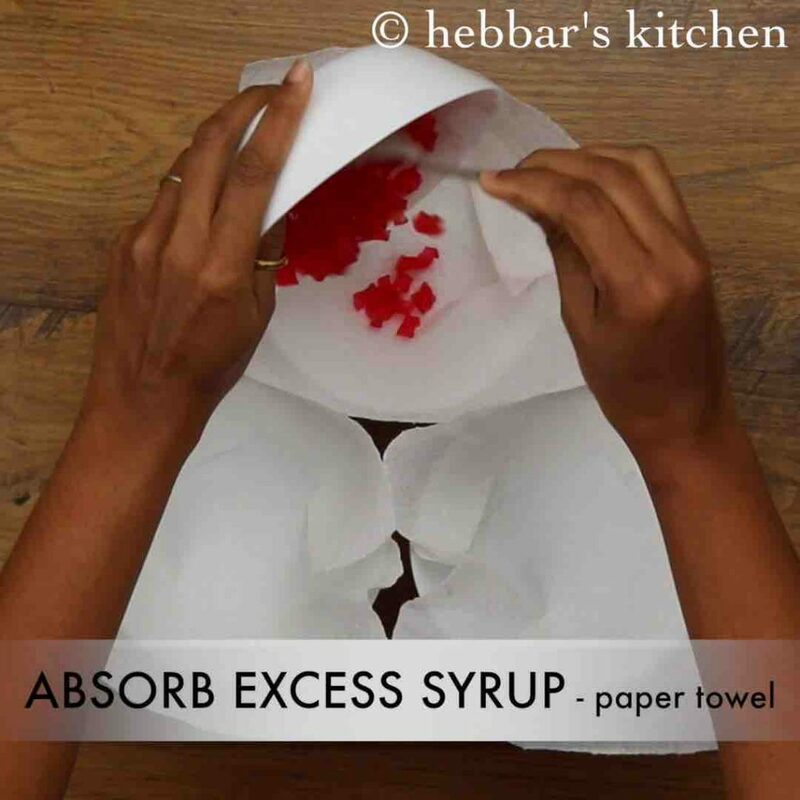 now drain off the sugar syrup and allow them to dry over kitchen towel. 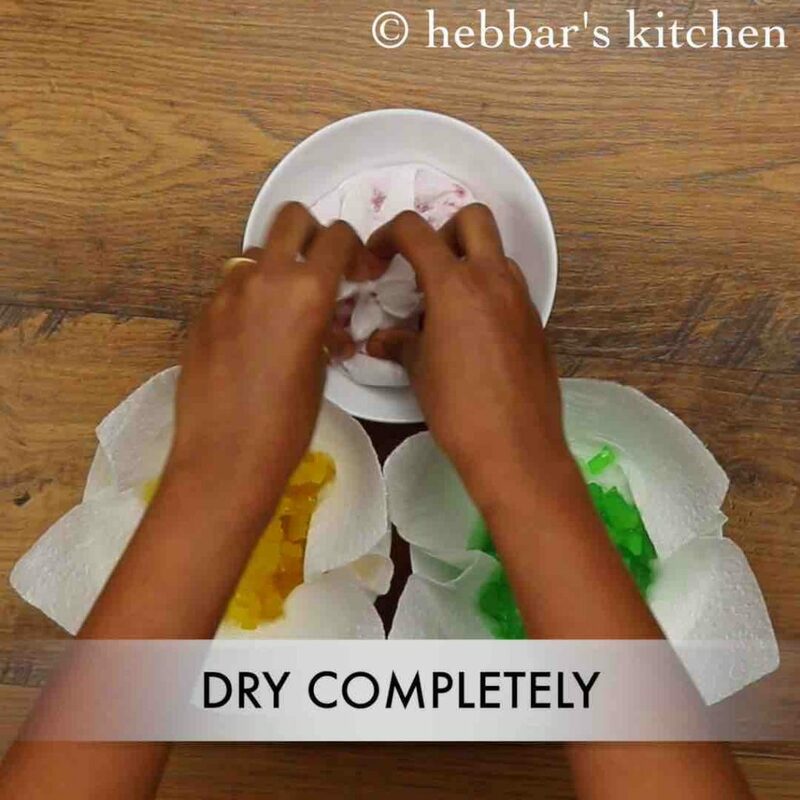 once the tutti-frutti dries off completely it will not be sticky. mix the colours together. finally, tutti frutti is ready to consume immediately or refrigerate for later use. 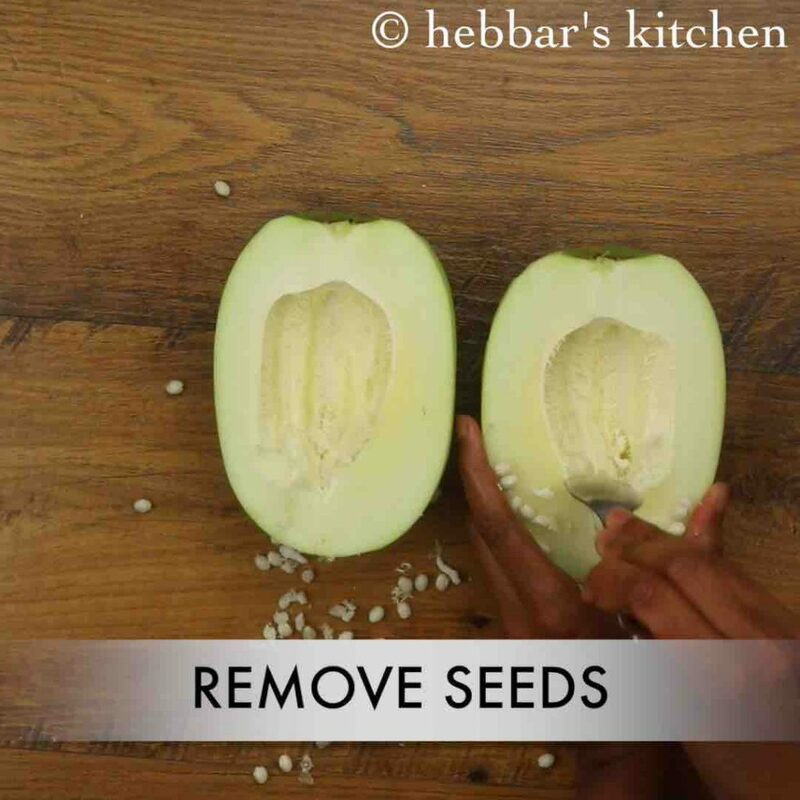 cut the papaya in half and scrape off the seeds. cut the papaya into small cubes scrapping off the fleshy white skin beneath the seeds. 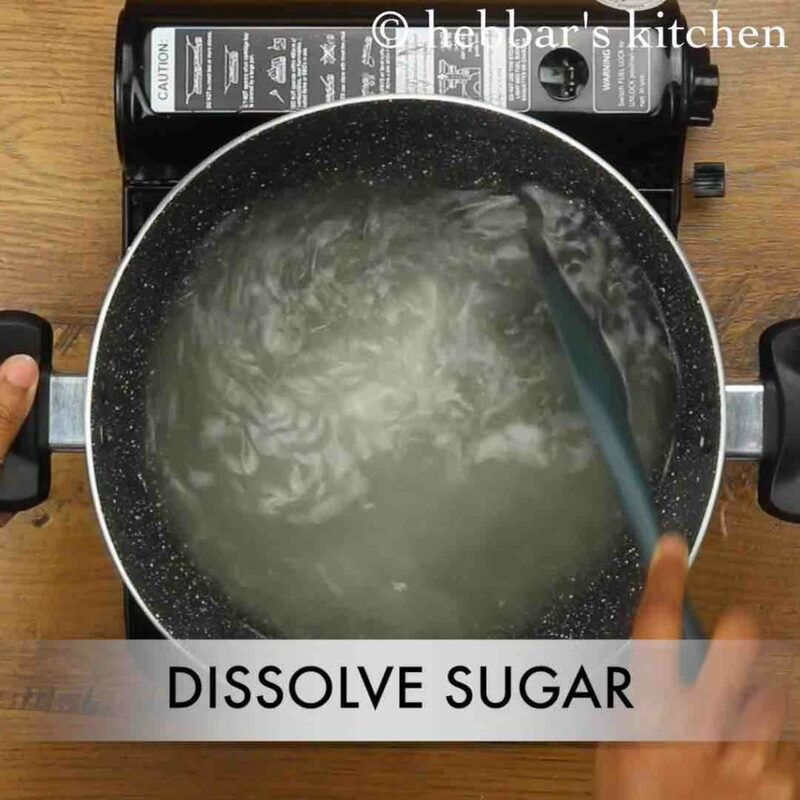 stir and dissolve the sugar completely. now drain off the sugar syrup and allow them to dry over kitchen towel. alternatively, spread over wire mesh to drain off the excess syrup. dry completely allowing to rest for 2-4 hours over kitchen towel. 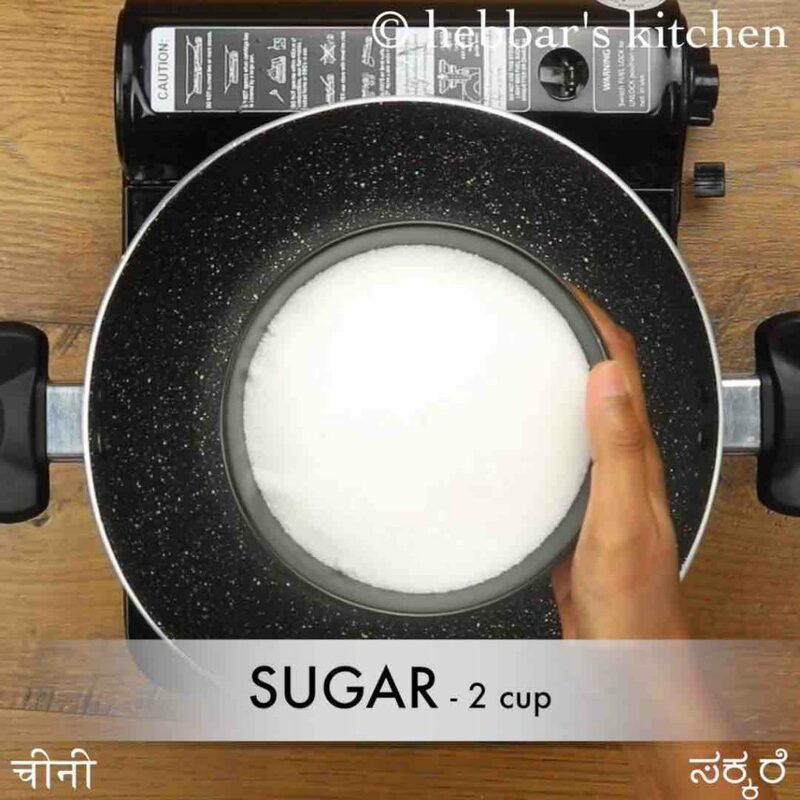 firstly, use freshly prepared tutti frutti to make tutti-frutti cake recipe, cheese dabeli recipe, custard ice cream, mango mastani recipe and falooda recipe. also, add colours of your choice to make it more attractive. 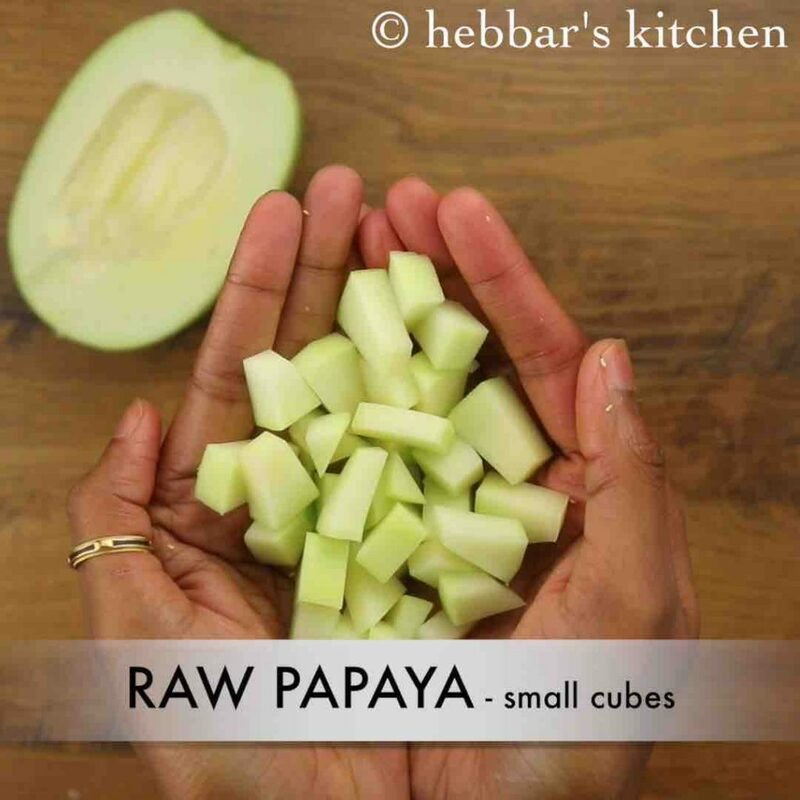 additionally, cut the cubes of raw papaya into small cubes for uniform cooking. finally, tutti frutti recipe stays good for months when refrigerated.